Think silk and you think fluid, luxurious fabric. 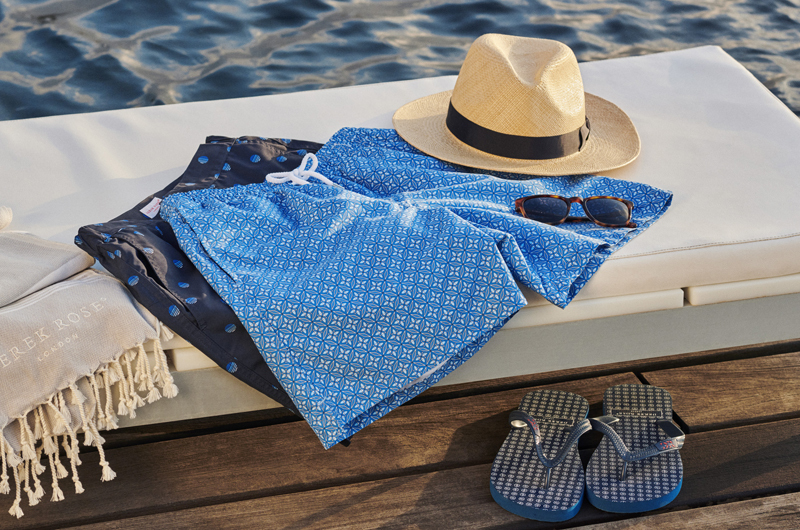 A fabric that envelops you in sophistication. That makes the simple act of drinking a cup of coffee a scene from a film noir. Our Woburn men's pajamas are cut from pure silk that has been woven into a satin stripe. 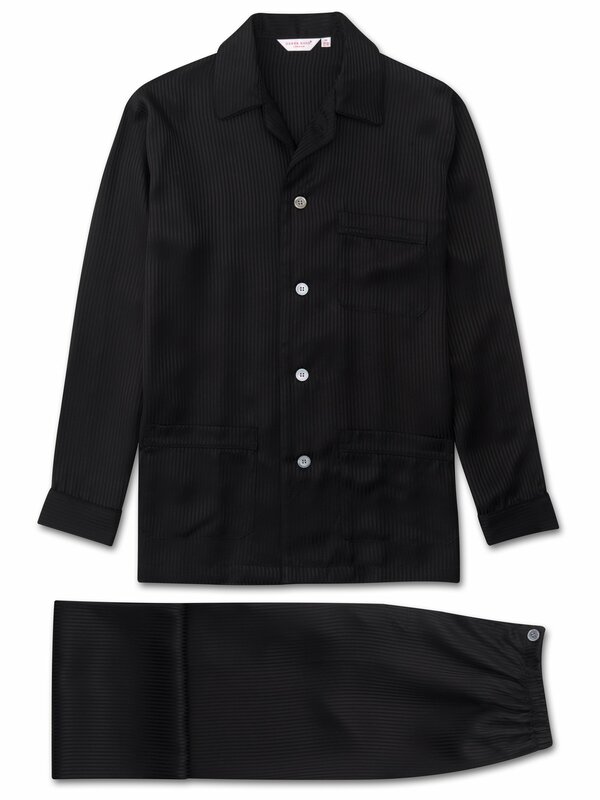 Styled for comfort and relaxation, these pajamas feature a three pocket jacket, classic collar, piped jacket and adjustable two-button waistband. Elasticated sides on the pants mean the front and back are flat for your comfort. Sleepwear for men at its finest.